As Theresa May continues to have a healthy lead among her competitors in the Tory leadership poll, according to a recent poll conducted, but there is a strong belief that her close competitor, Andrea Leadsom can defy the latest election odds the UK and win the hearts of the conservative grassroots members, who are key in deciding the final outcome. Among the general public, May seems to have set a strong support, with almost half of the people interviewed on whom they’d support saying they believe that May should be the next prime minister, as opposed to the 25% who say the energy minister should be the next prime minister. 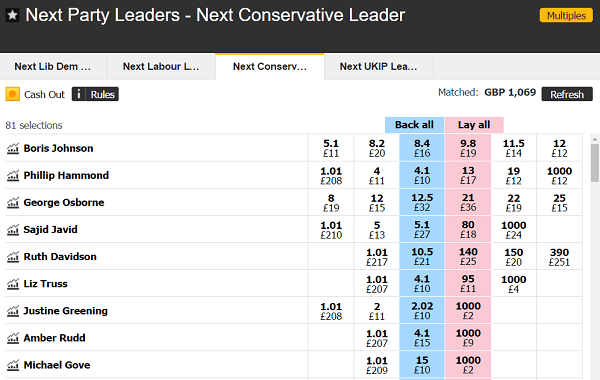 According to the latest election odds the UK by the various bookies, they strongly believe that the Home Secretary is the favourite at odds of 1/4 to win the election, while Leadsome set at odds of 7/2 to become the next prime minister. Despite May having the majority of the people’s vote and having a high profile, candidates like her have not been having a good record in the past. In fact, Leadsome supporters hope that a repeat of 2001 can happen again where the party members voted Iain Duncan Smith, a right-winger as the leader even after two-thirds of the majority of the parliamentary party had supported his arch rivals, Michael Portillo and Ken Clarke. Her agenda, which suggests that the UK must have a pro-leave PM so that he/she can maximise on the opportunities offered by Brexit, may seem to sell her to the huge number of strips of the Tory grassroots. This is a message that is set to reverberate mostly with the older Conservatives, who also seem to be charmed by the allure of Boris Johnson, who is supporting Leadsom. In a statistics survey carried out in 2013, it was indicated that the average age of the party members was 68. In a poll conducted recently, the results indicated that the Tory Party members gave Andrea Leadsome 38% support, a point ahead of Theresa May. 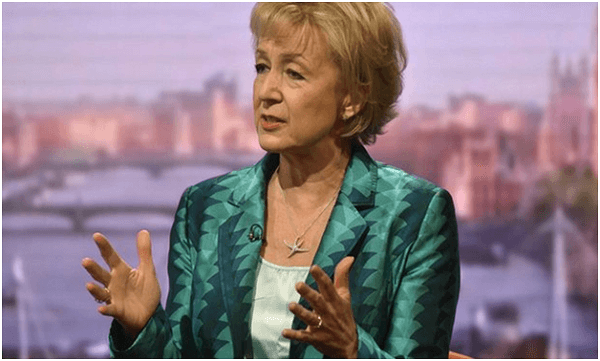 With her voice of assurance that she will banish the pessimists in the wake of the Brexit results, Andrea Leadsom seems to be flowing with the momentum. She is further backed by Johnson, who says that she is better placed than any other competitor to replace the bizarre gloom in some quarters, with a tactical, sure and optimistic approach, not only to Europe but also to the government in general. Michael Gove, the justice secretary, has been knocked out of the race of becoming the next Conservative leader, leaving the energy minister and Home Secretary Andrea Leadsom and Theresa May, as the two last contenders for the top seat. Michael had the support of 46 MPs, a figure, which wasn’t enough to beat the second-placed contender, Leadsom, who garnered 84 votes. 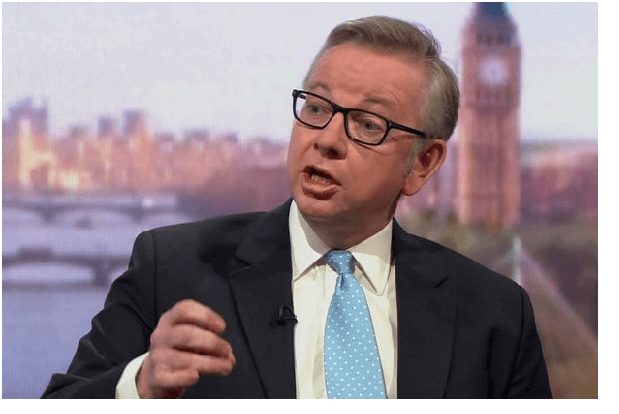 Gove’s loss may strongly be attributed to a recent poll, which indicated that the Conservative party risked losing support from the general party if he became the leader. Out of the 1,000 Tory voters who were questioned by Survation, 41% of them said point blank that they wouldn’t back the party if Michael Gove was at the helm, with only a mere 9% saying they would vote for the party if he was the leader. These results are a reflection as to why May, who according to the latest election odds, is the bookies favourite at odds of 1/4, preferred Gove to be his competitor instead of Leadsom. In the latest election odds, various bookies were offering punters odds of 4/1 for Leadsom to win the election. According to William Hills sportsperson, he told our blogger that even though the front runners have always had a hard time to win the contest, the early signs show that most of the UK population believe that Theresa May will be an exception and win the nomination. Even though the MPs may support May to win, it may not be enough for her as she will only win if the file and rank support her as the party’s leader. Earlier in the month of July, Ken Clarke, a Tory grandee, in a seemingly unwary moment, let slip that he strongly believed that May is a “bloody difficult lady”. Analysts were quick to dismiss his remarks by claiming that the comments were not going to affect May’s popularity among the voters given the fact that voters elected a “bloody difficult woman” three times in a row in the 70’s and 80’s. According to the Survation poll, 46% of the people who supported Tory in the past were more likely to throw their full support in the party only if May was elected as the leader. Only a mere 6% had different thoughts. A poll conducted by the same organisation on the probability of keeping North Ireland, Wales, England and Scotland united, the latest election odds indicated that only 16% would have trusted him while a whopping 59% would have not. Moreover, a staggering 69% believe that Theresa May will not be able to keep the union united, while 28% believe that Leadsom is the best shot at keeping the union united. Evidently, it seemed that the general public wants Theresa May to be the next replacement of David Cameron. Amongst the Tory party members, the number seems to be even higher with up to 58% of the total number proposing that she takes over from the outgoing PM. The bookies latest election odds have also predicted that she is the most likely PM and if she succeeds to replace Cameron, she will become the second British PM in the history of the country.